Above: last night`s March moth. Last night (Weds, 13/2) was my first trapping session at my new `home site` on the very western outskirts of Llanelli (though I have trapped there on occasions in the past). As some of you will know, I had originally intended to trap on the previous night (Tuesday) but constant drizzle put me off. The forecast for last night was cloudy but becoming clearer towards dawn. It certainly was clear skies at first light and the frost on the flat roof where the trap was situated did not augur well for bountiful catches. 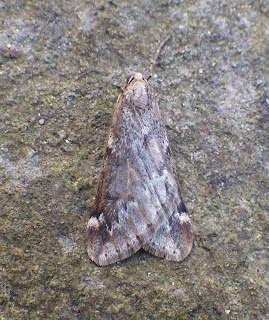 Indeed this was so, with just five species: chestnut (5), early grey (1), dotted border (1), early moth (1) and March moth (1). 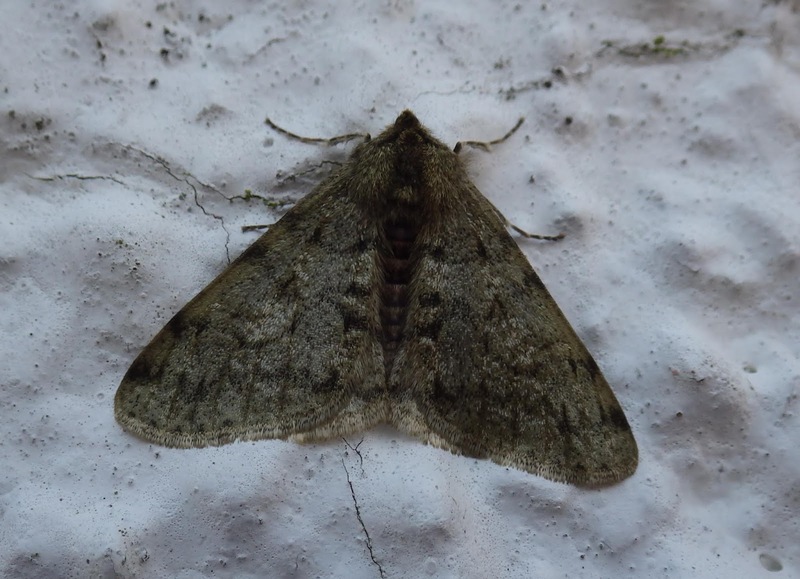 I had hoped to catch a pale brindled beauty (emulating Steve`s find), which would have been probably new for my new trapping site - but no luck. 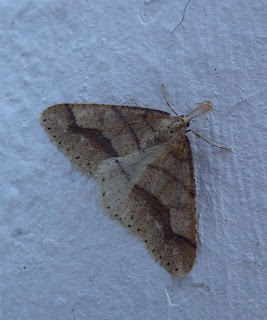 I`d also thought that my March moth was rather early but, upon checking the books, March moths do occur `from mid February onwards`, so my individual was on cue...`March [moth] in February`. I`ve just ( two hours later!) 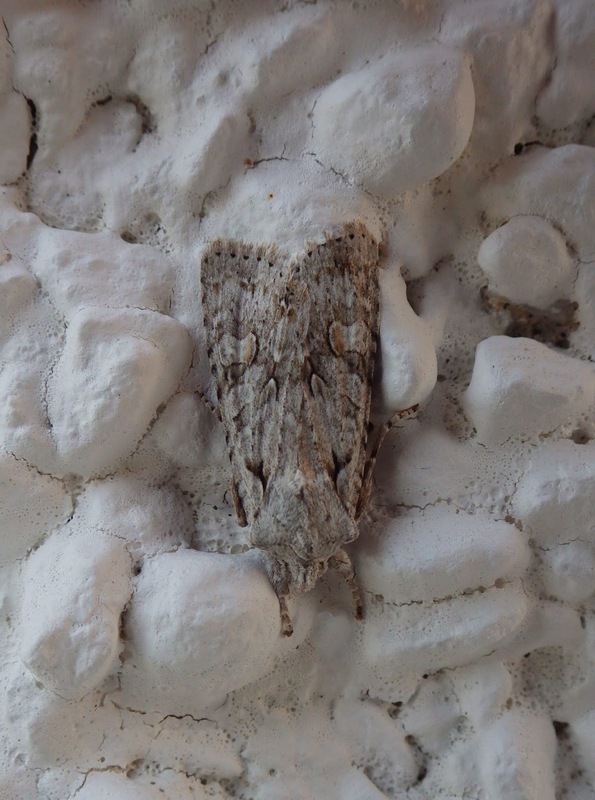 noticed that there are several moths on the white-rendered wall a couple of metres behind where the trap was situated, including a desired pale brindled beauty and also a grey shoulder-knot. There was also another dotted border and a chestnut. So, the moth season has got off to a promising start! 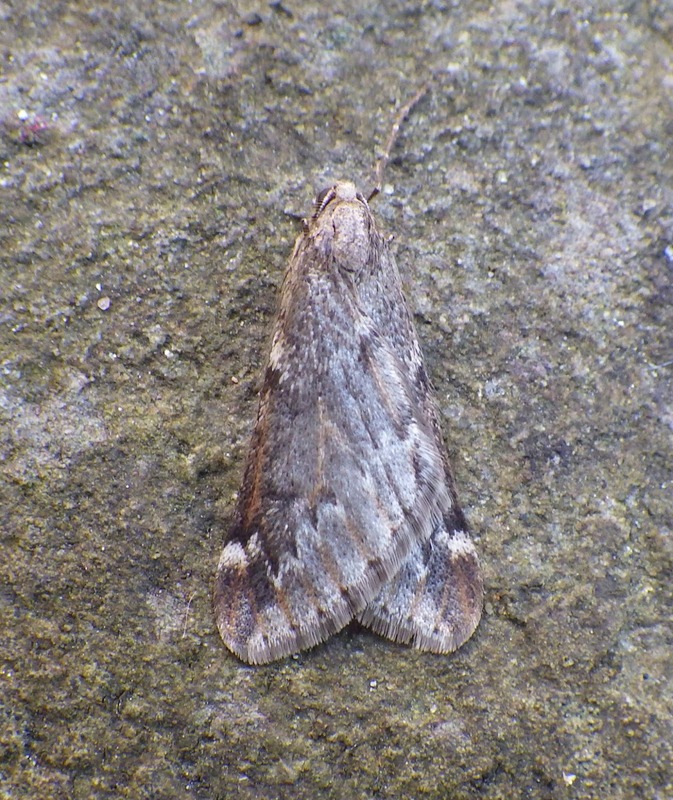 .... and a hebrew character and a dark chestnut were also found on another nearby wall later, making a final total of nine species. Great start, Ian. 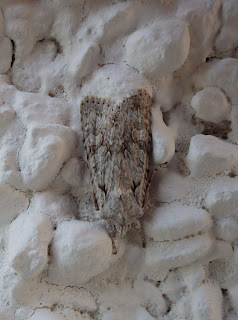 I've never seen Grey Shoulder-knot up here. Friday night should be good, so digits crossed. Thanks Steve. Yes Friday - too cold and clear tonight.